The Spanish company Megavatio Control, with its clean energy and blockchain project, was a finalist in the Siemens competition for startups. Along with nine other competitors met for the Siemens Days in Madrid on September 28 and 29 to present its Green Energy Tracker against more than 1,000 managers and 500 students and teachers inclined to the world of innovation. 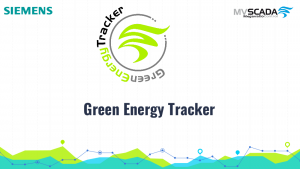 The Green Energy Tracker (GET) is a platform based on the blockchain that was designed to track the Guarantees of Origin. With them, the consumer should be able to know exactly where the electrical energy comes from, and if their production has been sustainable. So far it has not been used any truly viable method to verify them, but the GET aims to solve this problem with the Bitcoin underlying technology. Surely for this it has been the winning project in Spain, and will proceed to a next final round in Germany to be part of the Next 47 of Siemens. This is an initiative of the German giant to finance new disruptive ideas with up to 1000 million euros. Definitely a big boost to the future. Now Megavatio control is part of this big impulse, being a startup that is primarily responsible for providing methods for monitoring the production of renewable energy. About its functioning Marcos Valles PÃ©rez, company manager, says that now in Spain and much of Europe, the final customers of electricity can know where this comes from with a chart that determines each percentage of its origin, if solar, nuclear, wind or other. But this, in fact, is unverifiable. "With the GET the customer will have codes or other system that would identify the lot and through a web portal see where it occurred and what intermediate agents has passed. We talk always about guarantees of origin which is a parallel market, independent to the energy market." On the other hand, this company, unlike many others that have been dedicated to research and experiment with blockchain, do not forget that this was originally conceived to support the Bitcoin and other cryptocoins. While Valles confesses that customers still use their local physical currency, Megavatio Control uses digital currency, and would have no problem paying their staff with any cryptocurrency.